Computer technology has provided language testers with opportunity to develop computerized versions of traditional paper-based language tests. New generation of TOEFL and Cambridge IELTS, BULATS, KET, PET are good examples of computer-based language tests. Since this new method of testing introduces new factors into the realm of language assessment (e.g., modes of test delivery, familiarity with computer, etc. ), the question may be whether the two modes of computer- and paper-based tests comparably measure the same construct, and hence, the scores obtained from the two modes can be used interchangeably. Accordingly, the present study aimed to investigate the comparability of the paper- and computer-based versions of a writing test. 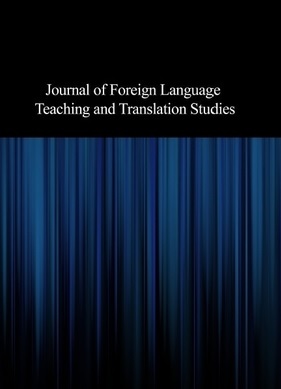 The data for this study were collected from administering the writing section of a Cambridge Preliminary English Test (PET) to eighty Iranian intermediate EFL learners through the two modes of computer- and paper-based testing. Besides, a computer familiarity questionnaire was used to divide participants into two groups of high and low computer familiarity. The results of the independent samples t-test revealed that there was no statistically significant difference between the learners' computer- and paper-based writing scores. The results of the paired samples t-test showed no statistically significant difference between high- and low-computer-familiar groups on computer-based writing. The researchers concluded that the two modes comparably measured the same construct.